If you've suffered extensive water damage to your property you need to enlist the help of NorthStar Restoration Services. We have over ten years experience helping customers recover from flood damage, using modern drying technology and our commitment to client satisfaction to ensure that those affected are able to return their properties in no time. No job is too big or small and our solutions are tailored to meet the needs of any situation, so you'll never pay more than you have to. Whether it's a commercial building devastated by river overflow or a simple bathroom flood, our focus is to get businesses back in business and families back in their homes. We provide 24/7 commercial water damage restoration services in Mosinee, WI. To schedule an appointment or for emergency commercial water damage restoration in Mosinee, WI, call 866-439-9318. 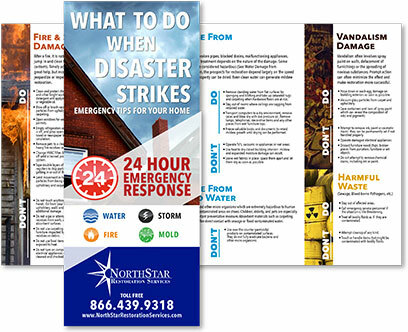 Download our “Disaster Strikes” Brochure to learn the DOs and DONT'S of reacting to a property disaster. 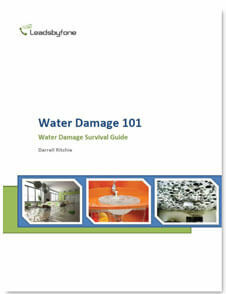 Download the Water Damage Survival Guide. Protect yourself! We specialize in bringing carpet & upholstery, tile & grout back to life. No matter the size of your home or business, we can have them looking, feeling, and smelling their best.